It is often the case that the people you work with aren’t working on the same platform as you. Perhaps your teacher just gave you an assignment, asking you to make a presentation. You made it on PowerPoint, but the teacher then tells you that it needs to be on Google Slides You don’t have to fret, though. There is a way you can convert PowerPoint to Google Slides without having to start all over again. In a rapidly advancing technological world, a person needs to be able to access all platforms with minimum barriers, if any at all. Following are several ways to turn your PowerPoint to Google Slides with ease without losing any of your data. There are three methods to turn your PowerPoint to Google Slides. The first method of converting your PowerPoint file into Google Slides is simple and useful when you need to convert the whole file. A new dialogue will open where you can browse for your PowerPoint file. When you’ve uploaded your file, you’ll get a confirmation message on the bottom right corner of your screen. The file can also then be seen listed on your Google Drive. Right click on the file to bring up a list. Click on Open With > Google Slides. 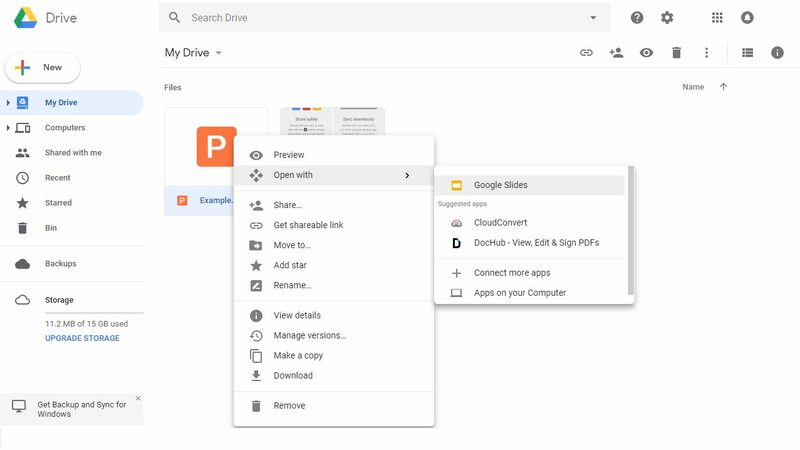 Google will immediately begin the conversion process, converting your PowerPoint presentation to Google Slides. After a few seconds, your file will be converted, and you’ll be able to view and edit it on Google Slides without any interruptions. Instead of right clicking on the white canvas, you can also simply drag your PowerPoint file onto your browser with the Google Drive tab open. Doing so will help you skip Step 2 altogether. This method also results in the whole of your PowerPoint presentation to convert into Google Slides. As before, you’ll need to log into your Google Drive. Once logged in, you’ll see a big button near the top left with a Google-colored plus on it, namely “NEW”. Click on it and head to Google Slides > Blank Presentation. 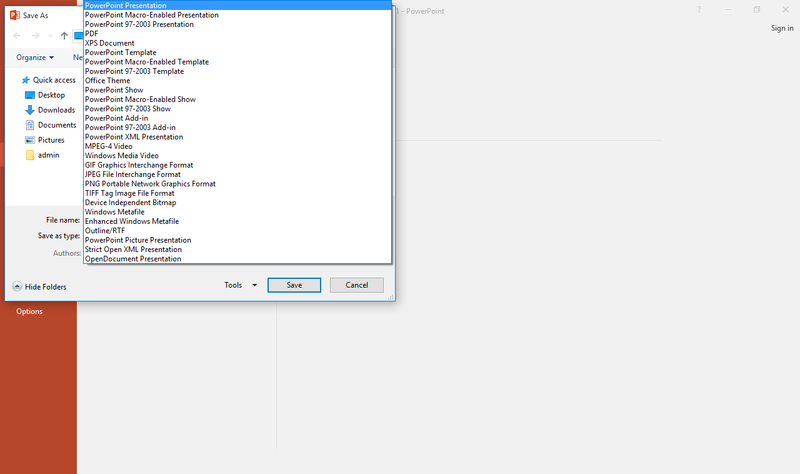 Once the blank presentation opens, go to File > Open in the ribbon menu. Alternatively, you can press Ctrl + O directly. A new dialogue box will open. In the new dialogue box, namely “Open” click on the Upload tab. Click on the blue button “Select a file from your computer” or simply drag your PowerPoint presentation into the dialogue box. Click the Open button once done. 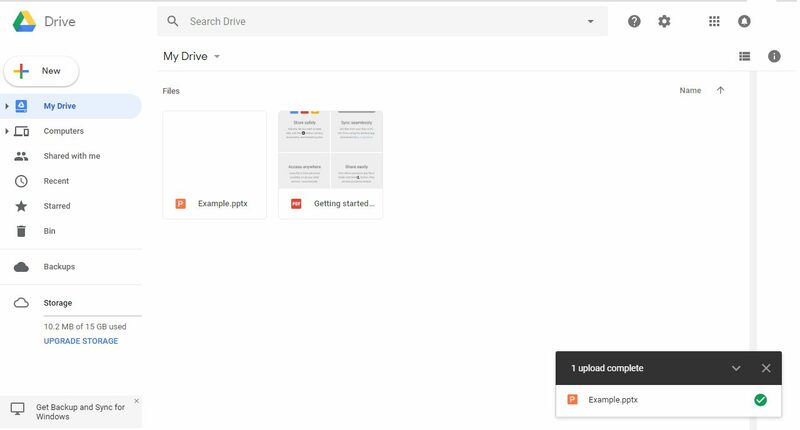 Google Docs will automatically convert and allow you to open PowerPoint in Google Slides to freely view and edit the file according to your requirements. 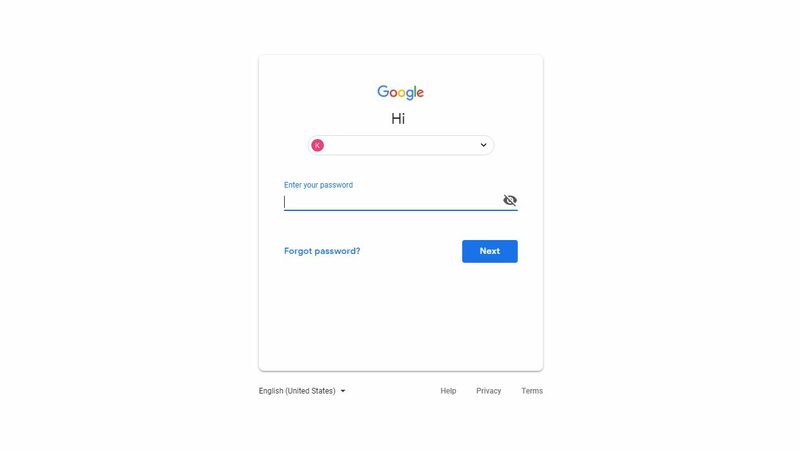 Open a blank Google Slides file as shown above. A dialog box will open to present you with two options: Import slides from an existing presentation file or upload a file from your hard disk or SSD. Click Select to upload it. You will then see the whole presentation opened up in front of you in grids. Click on the slides you want to import and then click the Import Slides button. You can choose to import all the slides as well if you want. This way you can also combine several PowerPoint presentations into one if you want and convert them all at once. These steps are a simple and very quick way for converting PPT to Google Slides, and help you get access to multiple platforms at once. When importing files, there are several things that might impact the quality of your import or otherwise impact your operation. Here is a list of a few things to keep in mind. When converting your PowerPoint presentations to Google Slides with method 1, your converted files can easily get jumbled up with the old ones because even after conversion, the file’s name still has the .pptx suffix (the file’s extension) attached to it. To avoid confusion, it is recommended that you remove the file’s extension name. This will separate the converted files from the original PowerPoint files. 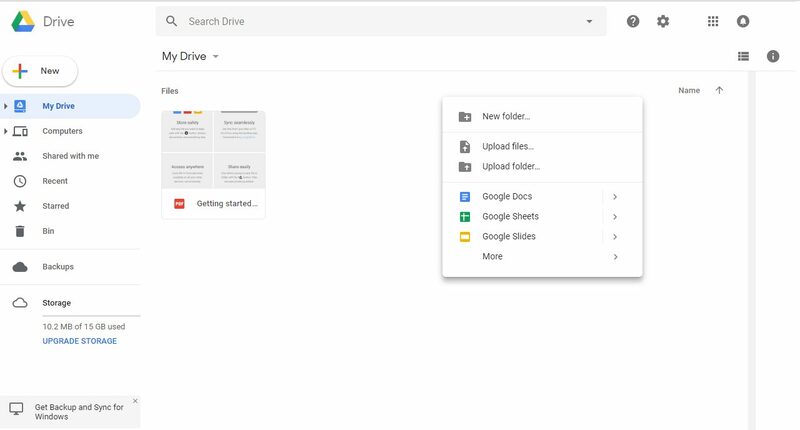 To properly convert and be able to edit the file on Google Slides, you need to make sure that you save it as a PowerPoint Presentation, i.e., the file extension should be .pptx, .odp or other files that Google Slides can support. At this time Google Slides does not support the import or export of PDF files. However, if you must, you can take screenshots of the PDF file and insert it into your Google Slides presentation. Before converting, you should give your presentation a once-over and delete any unnecessary slides. This will reduce your file size and in turn, not only save data and time when uploading but also reduce the amount of work you have to put in after the conversion. Conversion of PowerPoint to Google Slides may result in mismatched font styles, image sizes, or even themes. This is especially the case if multiple files are merged and converted using the method three above. If you have used any font, theme, or image size that Google Slides doesn’t recognize, it will end up choosing the font, theme, or size closest to the one used. This is because Google Slides uses default fonts and themes, but PowerPoint can use locally installed fonts as well. 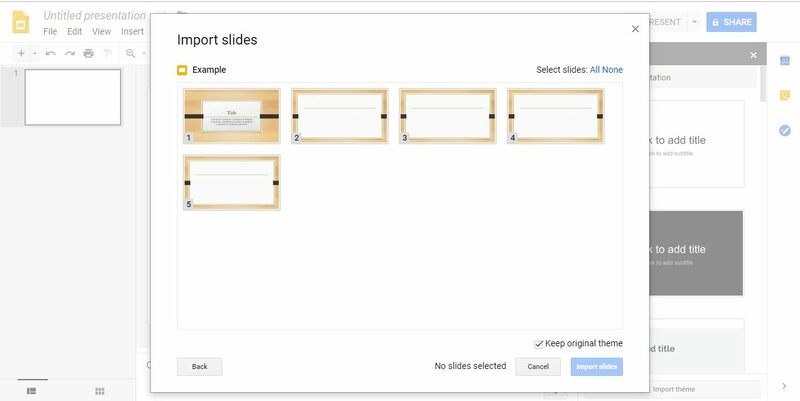 Although uncommon, Google Slides might also change the order of some slides when converting with method 3 and choosing multiple slides. The best course of action, in this case, is to use default fonts and themes and avoid skewed or irregularly cropped images. Currently, Google Slides’ conversion doesn’t support hyperlinks, and upon import, these links get removed. That is because the conversion software has to keep an eye on the text, font, format, theme, colors, and so much more. It is currently being updated to add hyperlink support. You are going to have to add the hyperlinks again after conversion. Unfortunately, there is no way to work around this yet. 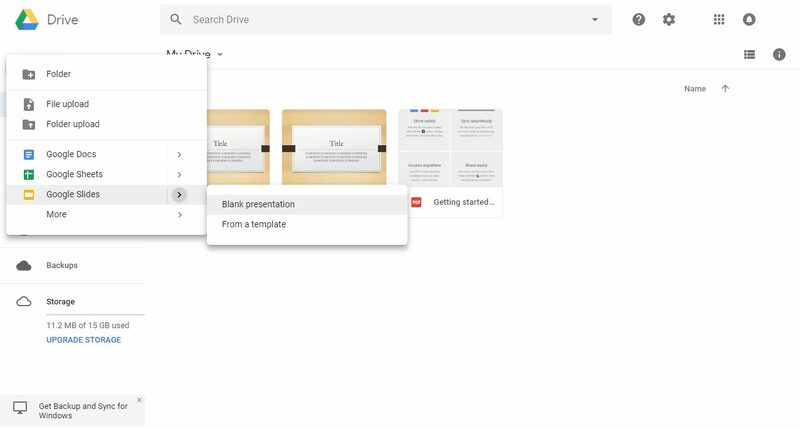 In short, if you want to convert PowerPoint to Google Slides, the simplest method includes uploading the file to Google Docs, double-click on the file and open with Google Slides. The conversion process will begin immediately, and within a few seconds, you will have your converted file ready to be edited and used. 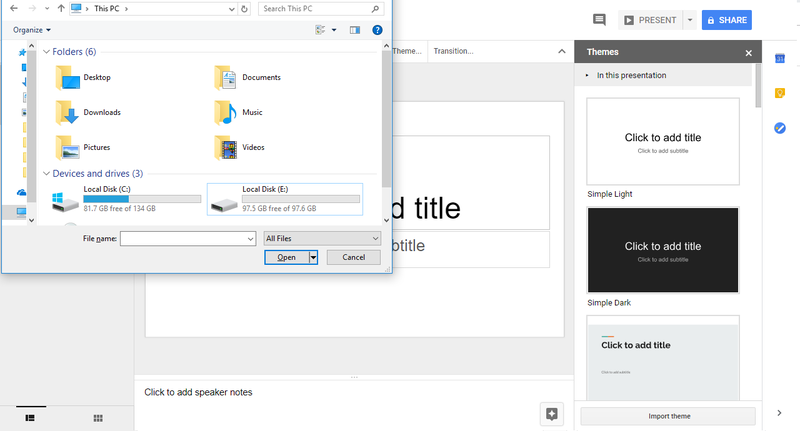 Converting a PowerPoint presentation to Google Slides is fairly easy. 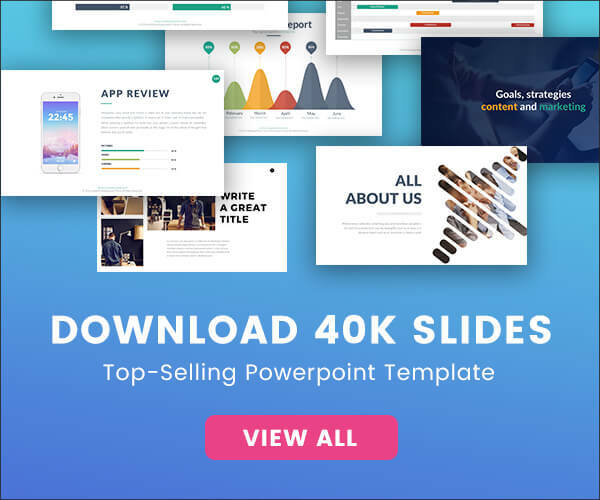 Working with presentations originally created in PowerPoint or other Presentation-creating platforms is possible with the help of this conversion technique.